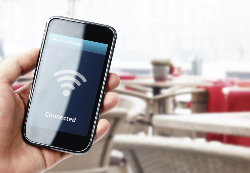 Wireless network infrastructure (Wi-Fi) is one of the technologies that is in high demand due to the proliferation of mobile devices in office, schools, residential care homes; really anywhere you may want to use a computer. We can design, install and configure Wi-Fi solutions for business that offer maximum coverage, minimum channel interference, low bandwidth limitation and robust management and security features. We commission comprehensive wireless surveys of to ensure ‘dead spots’ are minimised, giving proper consideration to building structure and carefully balancing the number of connecting devices and its effect on bandwidth. The award winning wireless network infrastructure technologies we supply bring together enterprise class features, management tools and security to deliver the functionality and performance your organisation needs to meet the mobile network access explosion.